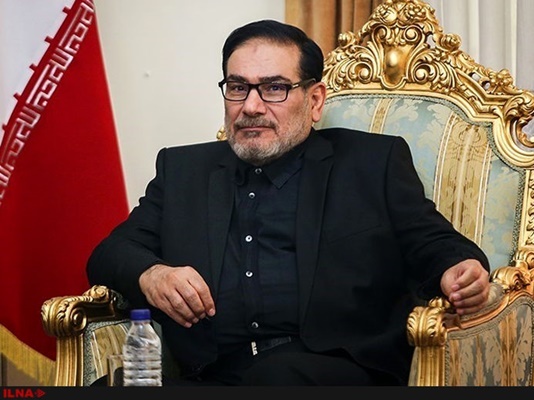 Secretary of Iran’s Supreme National Security Council (SNSC), Ali Shamkhani, underlined that negotiation with the US is of no use anymore. “We can’t waste Iranian nation’s time and energy by resorting to hollow opportunities,” he was quoted as saying in an interview with the Persian-language Tehran Foreign Policy Studies Quarterly. He said with the US withdrawal from the Iran nuclear deal last year, the Islamic Republic has entered a new era. “US President Donald Trump thinks that he can impose his unreasonable and arbitrary decisions on us through exerting more economic pressure. But he should understand this fact that the Iranian nation enjoys great capacities to leave behind the current crisis,” he said. According to Shamkhani, the US violation of the JCPOA has contributed to the current chaos in the international community and tarnished the US’ image more than that of Iran. Elsewhere in the interview, the Iranian official said Iran decided to remain in the JCPOA to give diplomacy another chance. He then referred to the US failures in the region and said the US government is grappling with the unexpected policies of Trump. Shamkhani blamed the US for creating the terrorist groups in the region and said the wrong policies of big powers have contributed to the strengthening of terrorism in the region. He referred to the Syrian crisis and said instead of exporting terrorism to Syria and prescribing imposed solutions to the war-torn country, the world should provide a chance for the Syrian people to decide for their own future. He also described the US policy towards Iran as paradoxical and said on the one hand the US president says he is willing to talk with Iran without any precondition and on the other hand his secretary of state sets conditions for Iran for any talk. “A review of the US conditions for talks with Iran reveals that most of them refer to Iran’s regional influence. This shows that the US’ problems with Iran is not limited to the nuclear issue,” he said. He also blamed Saudi officials for their reliance on the foreign powers and said the Saudis have used their wealth against the interest of the regional states. He then referred to the Zionist regime’s strategies in the region and added the regime has failed in all its war against the Resistance Front. “The Resistance Front’s military capabilities have increased dramatically over the recent years and this has put the Zionist regime in a defensive position. That’s why the regime has extended the hand of friendship to the regional Arab states,” he concluded.